These images are taken from the book 'O. 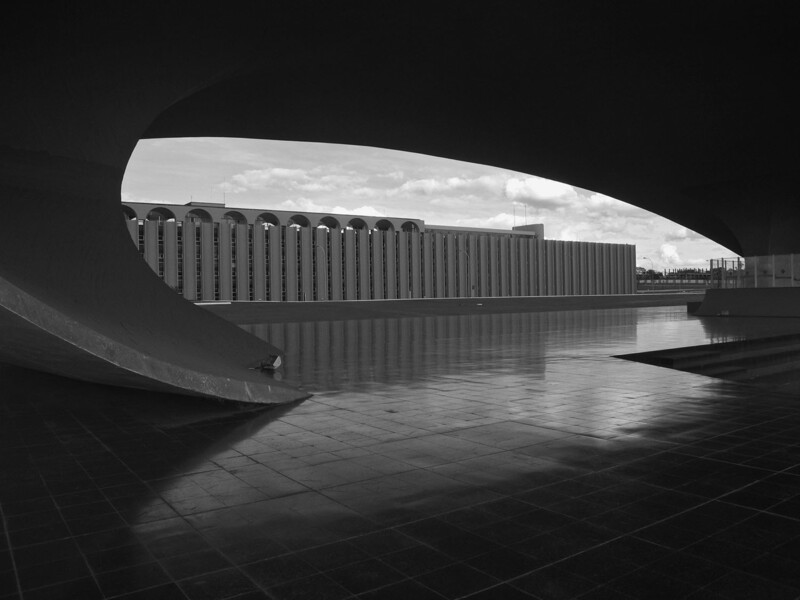 Niemeyer' by Dutch photographer Erik van der Weijde, who traveled to cities like Brasilia, Sao Paulo, Rio de Janeiro, Paris, Milan, Berlin and many others to capture the architecture of the iconic Oscar Niemeyer. 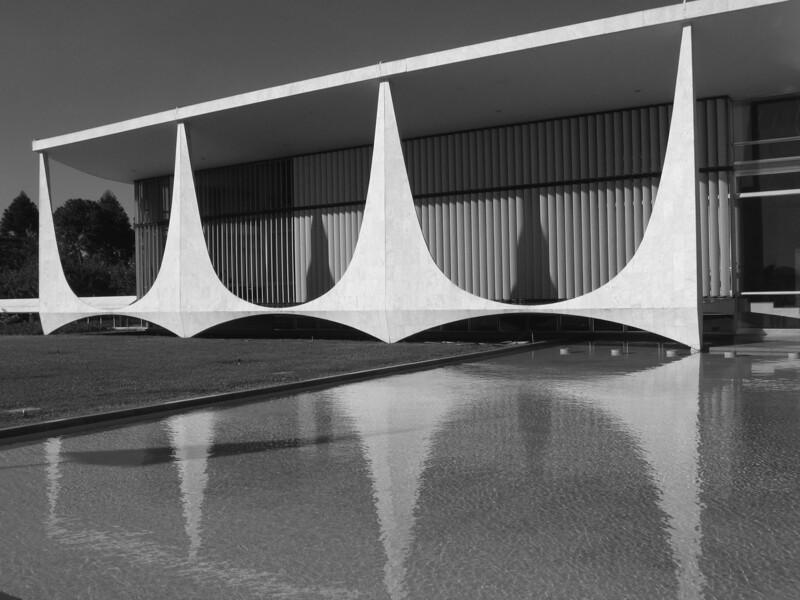 The famed Brazilian architect, who passed away at the age of 104, and widely considered this century's leading Latin American architect, as well as one of the pioneers of modern architecture who created some of the world's most famous modernist buildings. 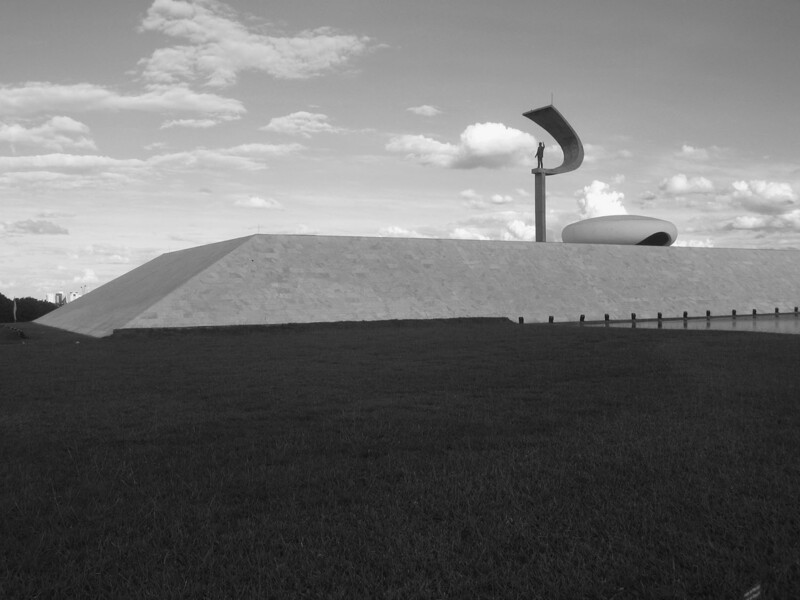 A central theme of Niemeyer's work has been its reflection of the Brazilian jeito, a sinuous and improvisational style manifested in everything from the country's sensual, undulating landscape to its attraction to spontaneous impulses, best known through its vibrant music and dance. 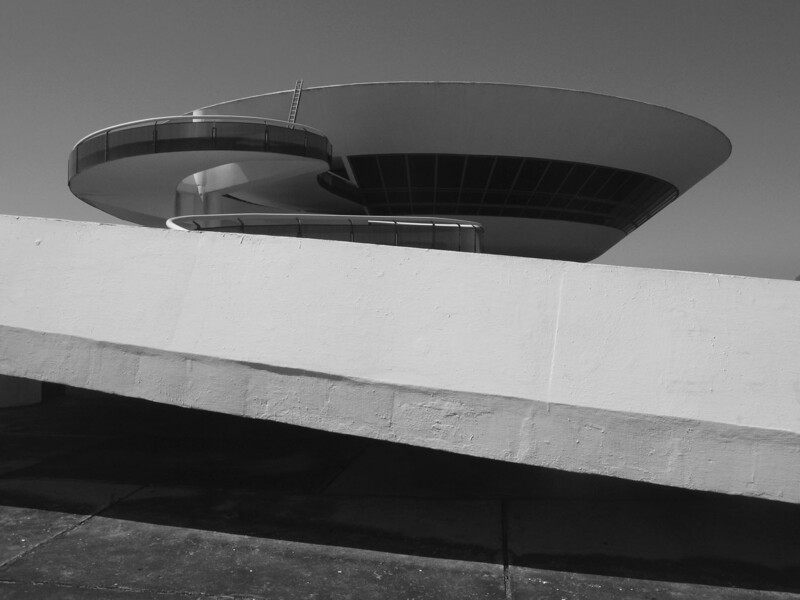 The jeito and the milieu of Rio de Janeiro lie at the heart of Niemeyer's free-form style, which emphasizes the inherent plasticity of the native curve over the rigid rectilinearity of the international style in Europe. 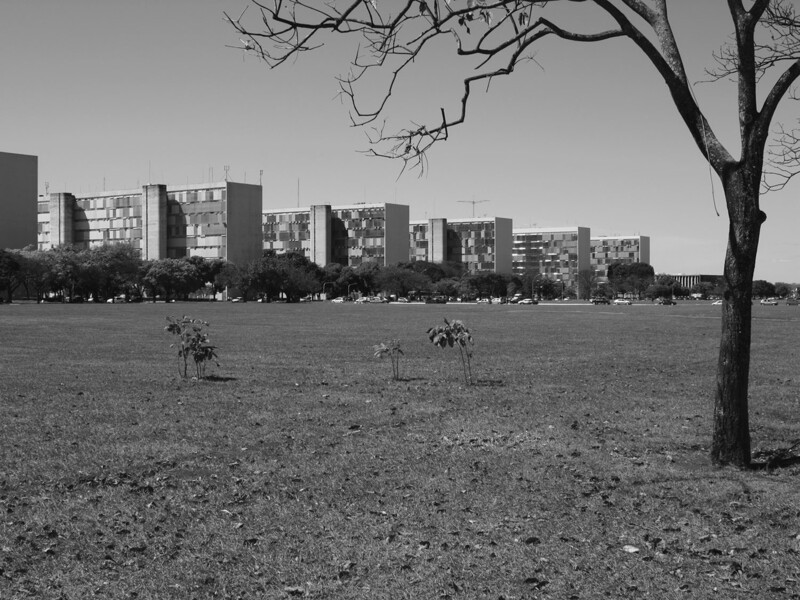 These images of the so-called utopian city are stark and carefully devoid of people. 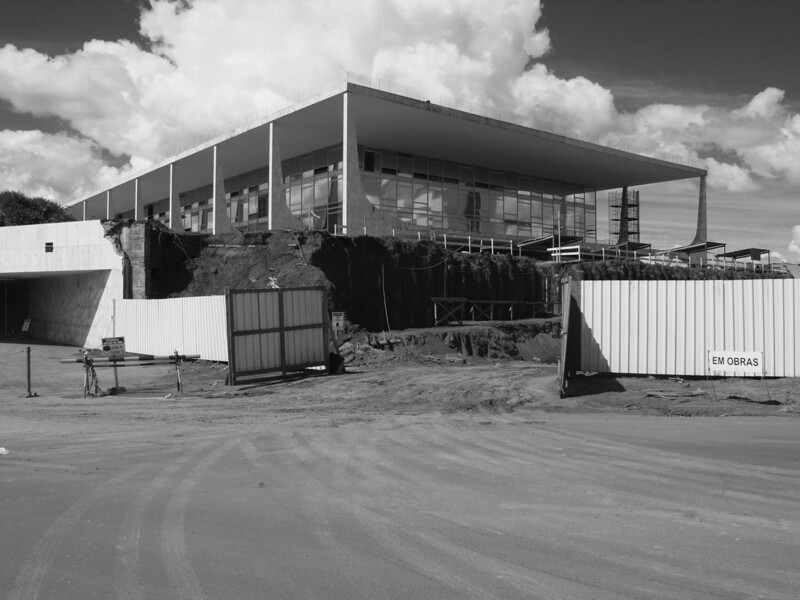 In this way, Van der Weijde chooses a clear focus on the structures and urban spaces, lending the series an architectural purity and imparting some of the grand scale of the city, perhaps even agreeing with the critics who have referred to it as dehumanising and full of elegant monotony. Van der Weijde, who was born in the Netherlands in 1977, has published over 40 books and zines over the last ten years. Mostly under his own imprint 4478zine, but also with other renowned publishers such as ROMA Publications, Rollo Press, and Kaugummi.